Because of its strategic location, Asheville became a major Confederate military center during the Civil War with several encampments. Asheville and Flat Rock, home to wealthy landowners, were Confederate strongholds. In Asheville’s public square and Camp Patton, troops and trainees gathered. There was a small Confederate prison where Pack Square is today. Slaves helped manufacture rifles at an armory. But few battles took place. The "Battle of Asheville" lasted a few hours in April 1865 at the current location of the University of North Carolina at Asheville, just a couple of miles north of downtown. Union forces withdrawing to Tennessee were given orders to take Asheville only if this could be accomplished without significant losses. Union Colonel Isaac Kirby arrived with 1,000 men on a raid against Asheville. They retreated soon after 300 local entrenched militia open fire. Earthworks remain near UNCA. Trails sign on Campus Drive, UNC-Asheville. An engagement was also fought later that month at Swannanoa Gap as part of the larger Stoneman's Raid. In late April 1865 troops under the overall command of Union General Stoneman captured Asheville. After a negotiated departure, the troops nevertheless subsequently returned and plundered and burned a number of Confederate supporters' homes in the town. State historic markers along this driving trail follow Union General Stoneman's raid through western North Carolina in 1865. Visit this pioneer farmstead, tucked in the Reems Creek Valley about 10 miles from downtown Asheville. It's the birthplace of NC Governor Zebulon Vance. The five-room log house, reconstructed around original chimneys, and its outbuildings are furnished to evoke the period from 1795-1840. Vance's political career as Civil War officer, North Carolina governor, and U.S. senator is traced at the homestead. Also included is the history of Vance's famous mountain family. Free tours Tuesday-Saturday. 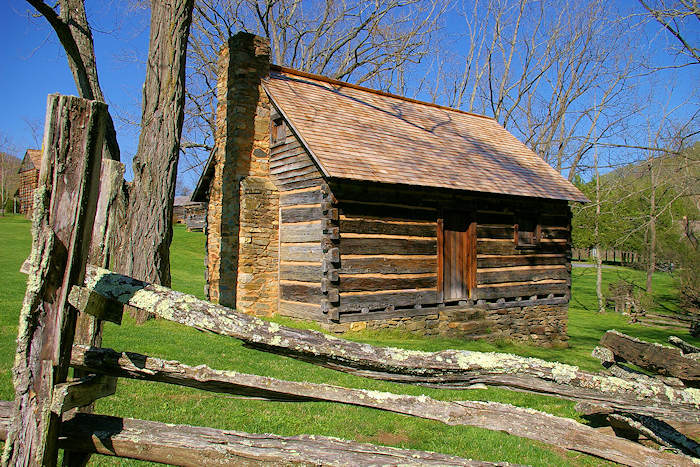 Read more about Vance Birthplace State Historic Site. This was the home of William W. McDowell, who helped raise several Confederate units and served as an officer in the Civil War. The stately home is located few a couple of miles from downtown Asheville and Biltmore. It is open for guided tours on Wednesday-Sunday. A marker at the Smith-McDowell House and Museum gives a glimpse of its second owner, William McDowell, who’d organized a pre-Civil War militia. One of his slaves, George Avery, settled on McDowell land after the war and presided over the South Asheville Colored. The museum has a Civil War Tea/Fashion Show in early May with costumed reenactors firing a 21-gun salute and ladies portraying the widows of the fallen. After the ceremony, guests will enjoy refreshments and a fashion show. Read more about the Smith-McDowell House. 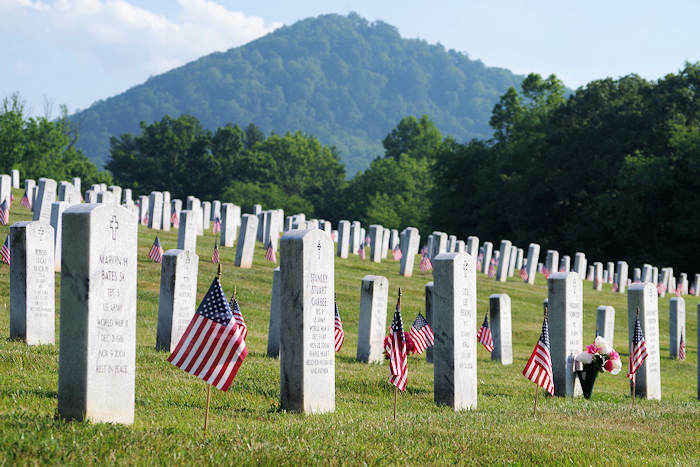 Wartime governor Zebulon Vance and his brother, Robert, are buried in this fascinating 87-acre cemetery near downtown Asheville, along with more than 250 Confederate veterans. Also here are Confederate Generals Thomas Clingman and James Martin joining Union Col. Andrew McGonnigle, who won the Medal of Honor, and Capt. James Posey who was one of Abraham Lincoln’s bodyguards. Read more about Riverside Cemetery. Connemara, the Carl Sandburg National Historic Site, was originally the home of Christopher Gustavus Memminger, first Confederate Secretary of the Treasury. He built his summer residence in 1839. Memminger resigned his post as Secretary of the Treasury on July 18, 1864 and was replaced by fellow South Carolinian George Trenholm. Memminger returned to his summer house, known then as Rock Hill. In the post-war years, Memminger returned to Charleston, received a presidential pardon in 1866, and returned to private law practice and business investment. Today, the home is part of the Carl Sandburg National Historic Site and tours focus on the life of Carl Sandburg. Take a self-guided tour of the grounds (free) and a guided tour inside the fascinating house (small fee). Read more about Carl Sandburg National Historic Site. Grove Arcade: Battery Porter, Civil War Trails sign at the Grove Arcade, 1 Page Ave. During the Battle of Asheville, Confederate Battery Porter was posted here. Following the fight the guns and men of the unit withdrew and were captured near Hendersonville. Black Union soldiers later drove the captured artillery pieces through Asheville. Aston Park: Camp Clingman, Civil War Trails sign in Aston Park, Hilliard Avenue. Pro-slavery, pro-secession North Carolina politician Thomas Clingman, who was serving in the U.S. Senate at the outbreak of the war, lived here. He later became a Confederate general and was wounded at Petersburg in 1864. Confederate troops camped here early in the war and returning soldiers used the place as a tournament grounds. 1st U.S. Colored Heavy Artillery: Civil War Trails sign at 6 Chestnut St. Gen. David Tillson organized this unit of 1,700 Union black troops in 1864 and camped nearby when assigned to Asheville. The artillerists served with Gen. George Stoneman in this area and also in operations in Tennessee and Alabama. Asheville’s Enslaved People: Civil War Trails sign at the Asheville Public Works building, 161 S Charlotte St.
At the beginning of the war, slaves made up more than 15 percent of the county’s population. They worked as waiters, maids, grooms, cooks and trail guides at the Eagle Hotel here. The slave population doubled as refugees came to the city to protect their “property” from Union advances into the state. Some slaves here helped Union refugees and some fled into Tennessee. Union Gen. George Stoneman freed the city’s slaves when he came through in April 1865. This home near Brevard was the scene of a dramatic shooting incident in February 1865. Most of the area men joined the Confederate army, but late in the war Union partisans and Confederate deserters roamed the territory. A gang of these “bushwackers” approached the home of Confederate Capt. James Deaver and killed his father. Fortunately for today's visitor, the Allison-Deaver House was never structurally altered for extensive electric wiring, plumbing or for heating and insulation. So you can see the original home with working fireplaces and the original paneling. It seems that time has just stood still. Their Pioneer Day is held in May. Civil War re-enactors camp in the lower field and treat us to three formation and firing demonstrations and a nineteenth-century fashion show. Weavers, quilters and basket makers are busy making their daily wares, while down at the barn, a blacksmith, and beekeeper and a potter will ply their trades to an audience of chickens. Local musicians will take to the porch for some mountain music. Allison-Deaver House is open for tours end-May through the 3rd week in October, Saturdays 10-4 and Sundays 1-4. Admission $5 adults, families $15, children under 6 free. Restrooms and Gift Shop. Special group appointments available. Call (828)885-7237. 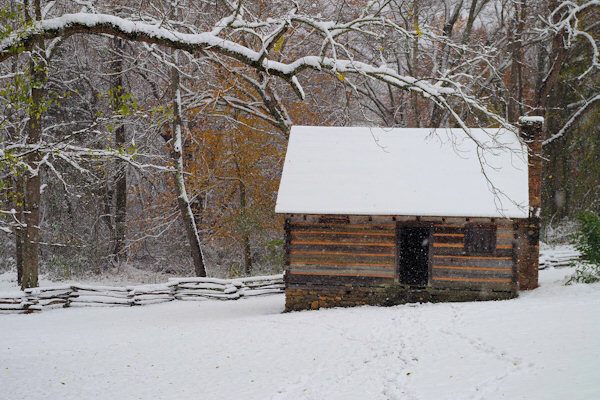 This massive three-story structure in Marion with log walls at its core was built in 1793 by Colonel John Carson and was home to the Carson family until well after the Civil War. A raid by Union soldiers in 1865, was recorded in detail by eyewitness, Emma Rankin, a school teacher who boarded with the Carsons. In this account she tells of watching some 300 Yankee soldiers pouring through every window and door, of the sound of spurs and sabers clanging upon the long halls of the house, and of the fear and uncertainty of those days. Open Wednesday-Sunday for tours. Stoneman’s Raiders came through Howard Gap into Henderson County, committing crimes. 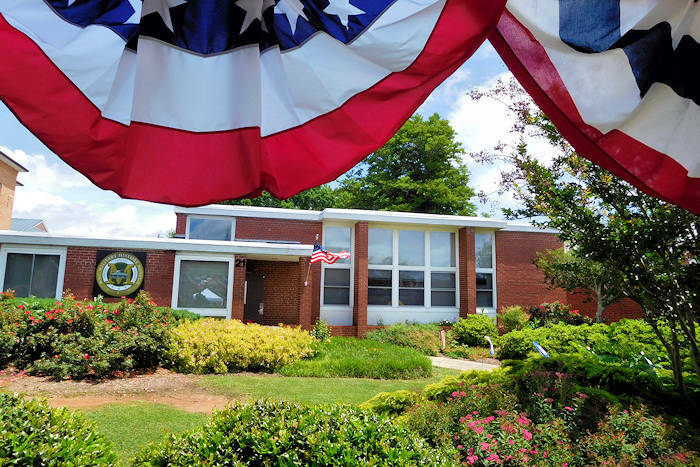 The Henderson County Heritage Museum in the old courthouse in downtown Hendersonville is observing the 150th Anniversary of the Civil War with the most complete collection of artifacts, uniforms and weaponry of the Civil War west of the Museum in Raleigh. The museum is open Wednesday-Sunday. See the Civil War Trails sign located in front of Town Hall, 16 South Main St, Waynesville. Some of the last fighting of the war occurred here after Union soldiers occupied Waynesville in early May 1865. Members of Thomas’s Legion attacked May 6 routing about 200 Federals near here. The Union troops retired to Waynesville and were surrounded. At a meeting the next day, the Confederates learned that the Civil War was over and surrendered. Read more about Downtown Waynesville. Tour this house that has survived more than 150 years without electricity, indoor plumbing, or central heat, The Zachary-Tolbert House is a unique example of 19th century Greek Revival Architecture. Exhibiting the world’s largest collection of plain-style furniture crafted by one person in one location, it is a regional treasure. The original owner of this house in Cashiers, Mordecai Zachary, had strong Confederate ties, serving in Thomas’s Legion. His brother and neighbor, Alexander, felt differently, helping escaped Union prisoners. Alexander’s sons served on both sides. After over two decades and 12 children, Zachary and his bride sold the House along with its furnishings to Armistead Burt in 1873. Burt was a prominent 19th century lawyer & politician from Abbeville, SC. He was both a protégé and nephew by marriage of John C. Calhoun, U.S. Senator and former Vice-President of the U.S. Notably, the Civil War effectively ended in Burt’s Abbeville home, when Jefferson Davis’ last meeting with his Confederate War Cabinet was held there. The Zachary-Tolbert House Museum & Grounds are open for guided tours on Fridays and Saturdays from May through October. Allow time to enjoy the adjacent meadows, nature trails, and scenic woodlands. Bring your lunch or a snack and spend several hours. There is no charge for guided tours, though a donation of $5 is suggested. For more information, phone 828-743-7710. The House Museum is located at 1940 NC Highway 107 South, two miles south of the Cashiers Crossroads (Highway 64 and Highway 107).